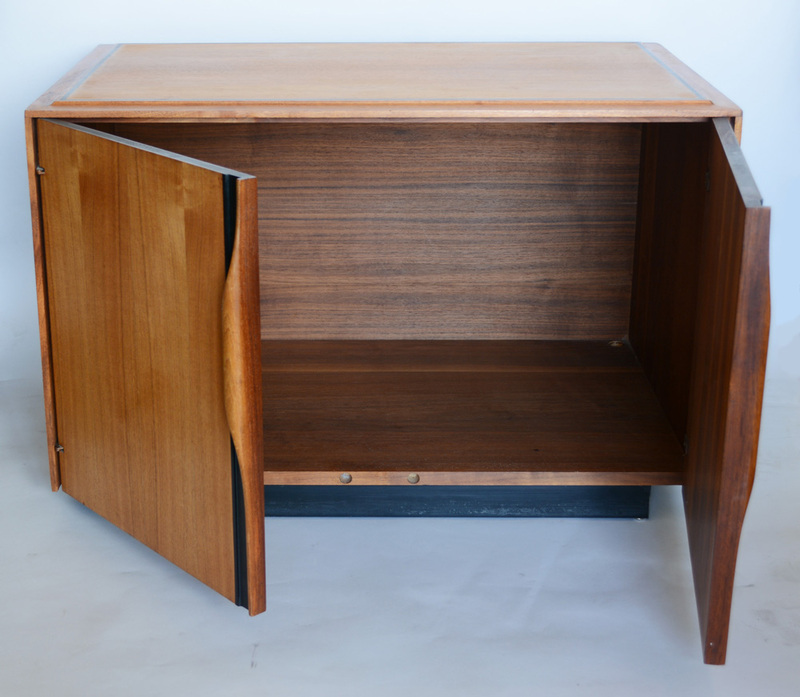 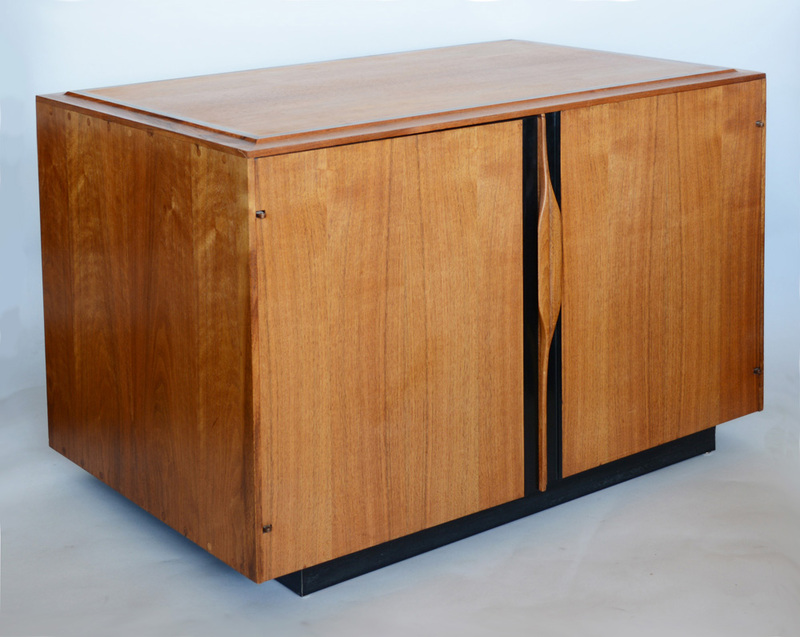 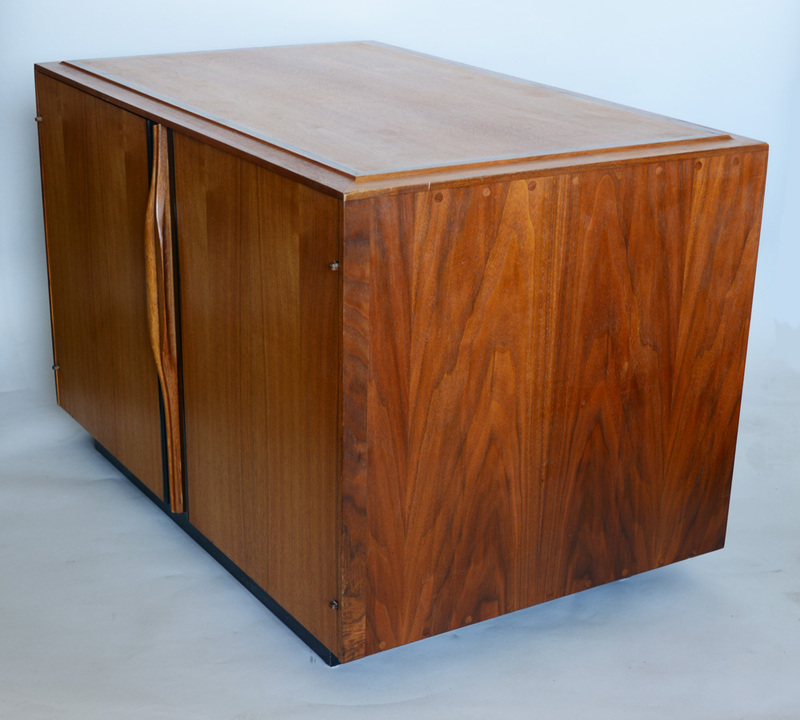 Versatile cabinet designed by John Kapel for Glenn of California. 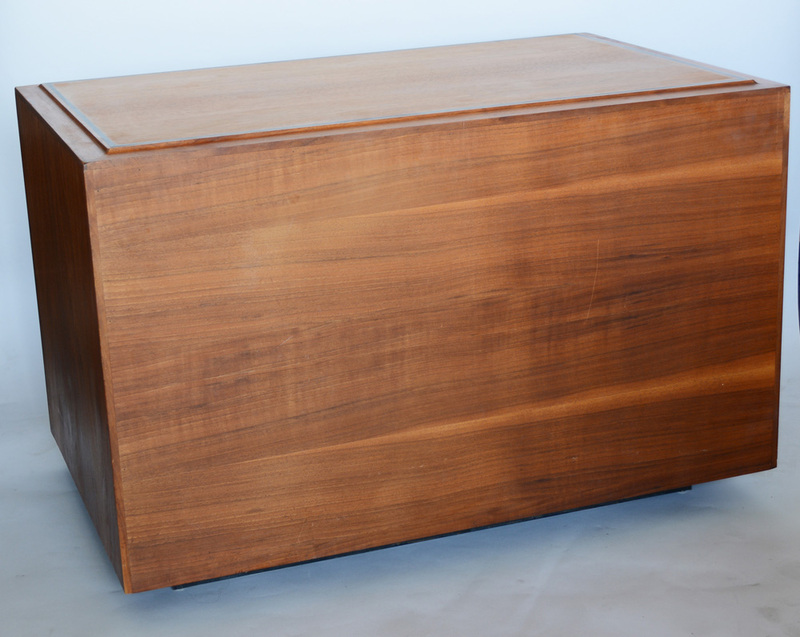 This can be used a small media cabinet or end table. 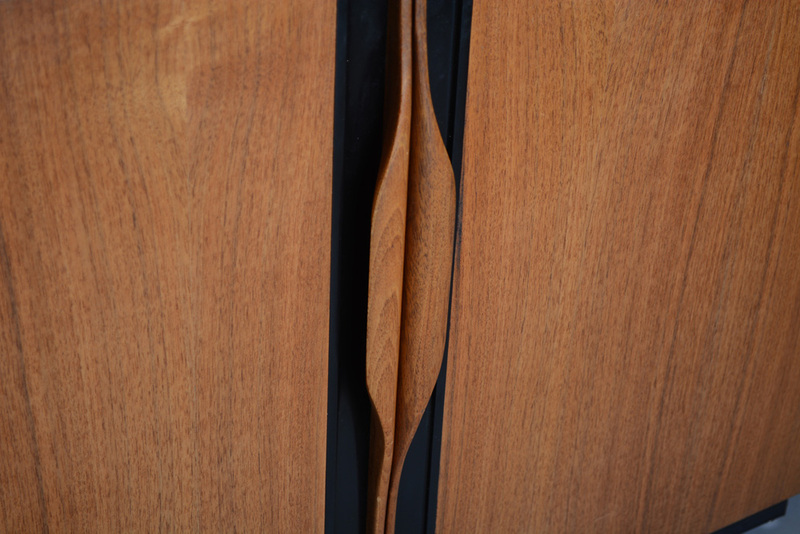 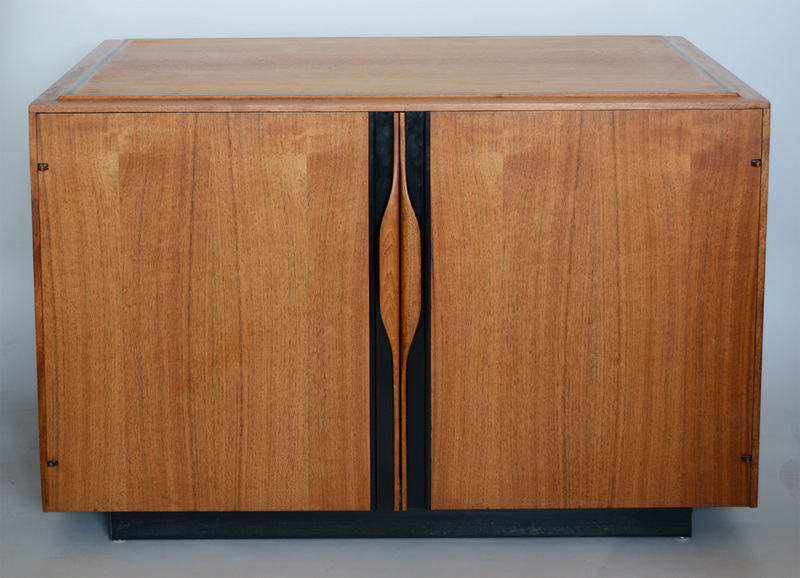 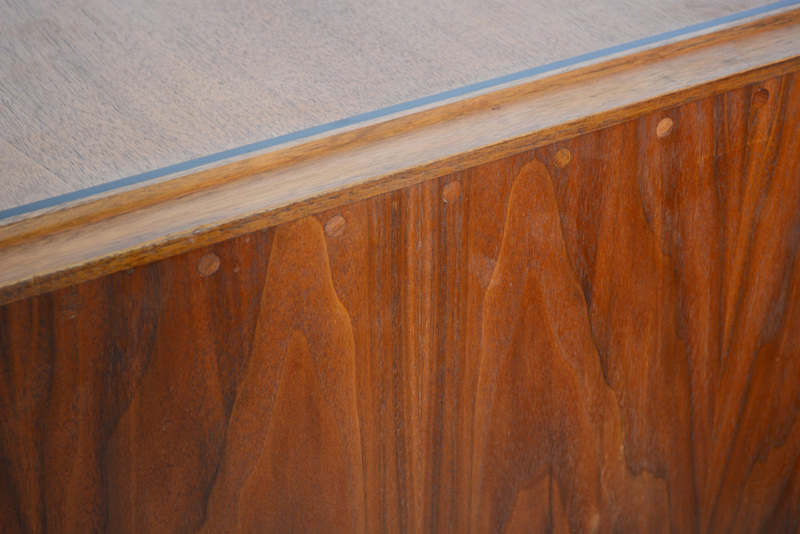 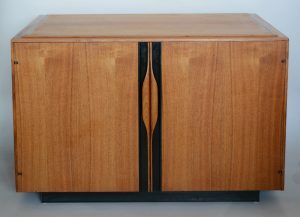 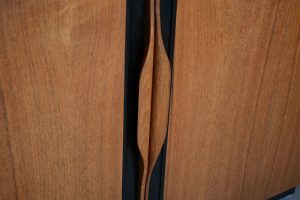 This cabinet has sculpted walnut handles and a black plastic inlay detail on the top and along the handles. There is one adjustable shelf in the interior. 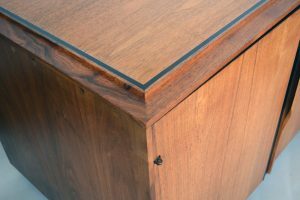 The back is finished.